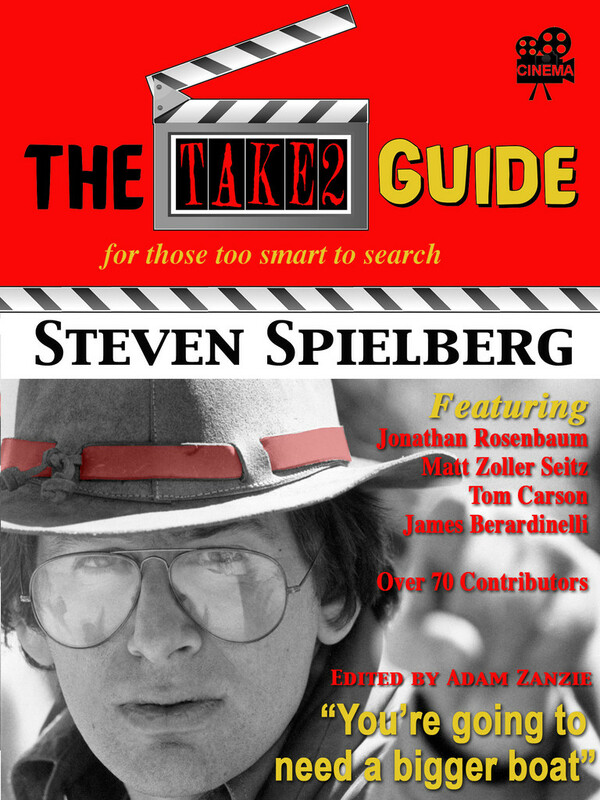 Short Takes: Wall Street, Mitchum, Lincoln and Mansfield! This edition of Short Takes includes one underrated fairly new film, from 2011, a made for television movie along with communists, Robert Mitchum, Robert Ryan, Joan Blondell and Jayne Mansfield. Spencer Tracy can act better than most others with one arm tied behind his back! 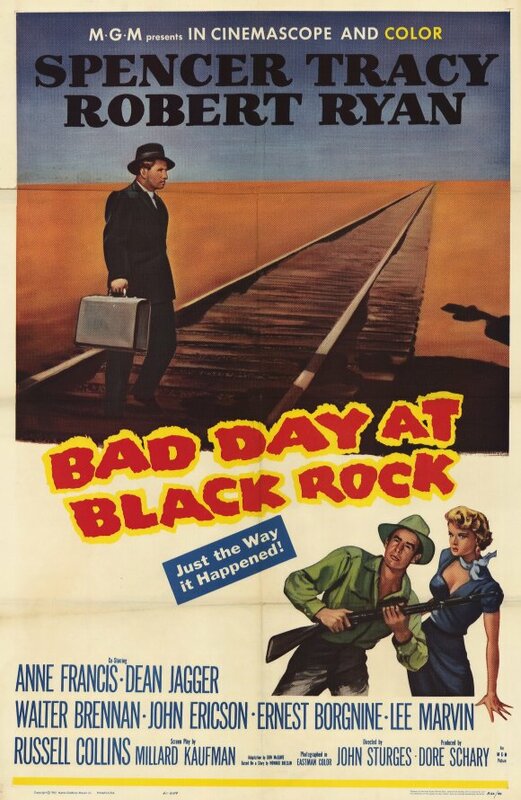 He proves this in John Sturges terrifically well paced and tense film, “Bad Day at Black Rock.” Sturges paints a picture of a town that is barren, both physically and psychology. It’s a town with a dark secret cancer called hatred and it is slowly eating away at everyone in it. Into this dust bowl comes John J. Macreedy (Spencer Tracy), a one armed stranger dressed in a black suit and tie which only accentuates his difference even more from the rest of the town. Like Gary Cooper’s Will Kane in “High Noon,” or Alan Ladd in “Shane,” Tracy’s John Macreedy is one lone man who has to face evil alone. 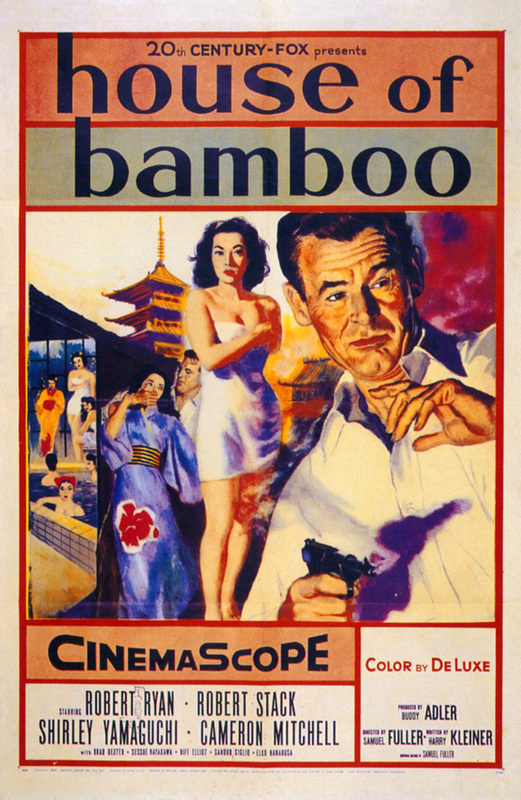 The film takes place shortly after the end of World War II when, for some, the Japanese were still seen as the enemy. Racial hatred simmers underneath the surface of the entire town. Like most racists it is their own fear and insecurities that drive them to action. Anthony Mann’s “The Naked Spur” is a dark western that ranks up there with Ford’s “The Searchers”, Hawks “Rio Bravo” and Zimmemann’s “High Noon”, an exquisite study of character relationships, cynicism, betrayal and redemption with the added scenic beauty of a master painting. 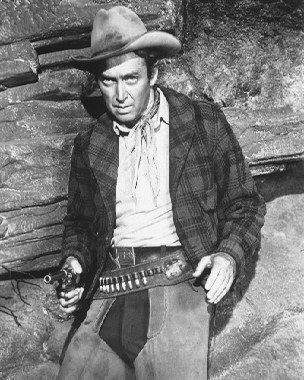 The plot is simple, Howard Kemp (James Stewart), a bounty hunter running from his past is hell bent on bringing outlaw Ben Vandergroat (Robert Ryan) in for reward money. Unwillingly he accepts the help of two men he meets along the way, an old out of luck prospector, Jesse Tate (Millard Mitchell) and a dishonorably discharged unbalanced soldier, Roy Anderson (Ralph Meeker). 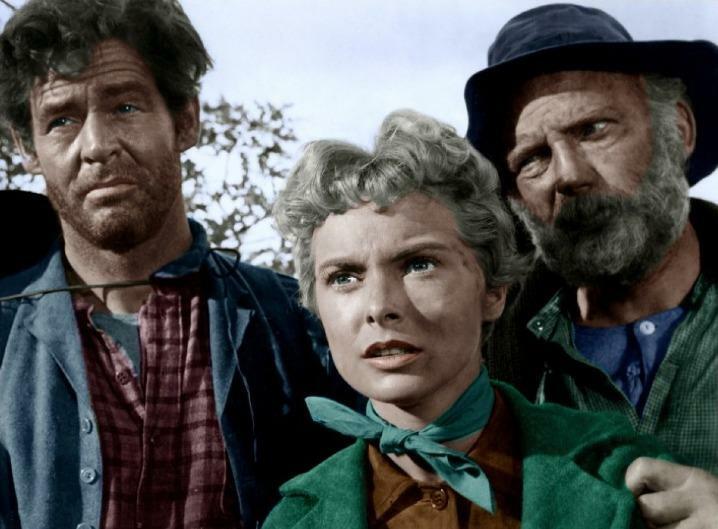 When they catch Vandergroat, he has with him the pretty Lina Patch (Janet Leigh), the young daughter of a pal who professes her love for him. On the long road back Vandergroat makes multiple efforts to divide up the loyalty of the three men splitting them apart and turning them against each other, hopefully long enough so he can escape. It is Robert Ryan’s twisted outlaw Ben Vandergroat who drives the film and Stewart’s Howie that reacts. Vandergroat’s divide and conquer policy is relentless, the men switching loyalties, shifting sides. He entices the old man Tate telling him how splitting the reward money two ways is better than three. 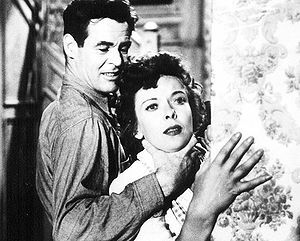 Vandergroat continually attempts to pit the men against each other and displays an almost superior arrogance at times, for example when he smugly instructs the lone female character to “do me Lina.” While it is meant to rub his shoulder, it comes across as a more overtly sexual demand especially considering the salivating Roy Anderson is standing by watching. 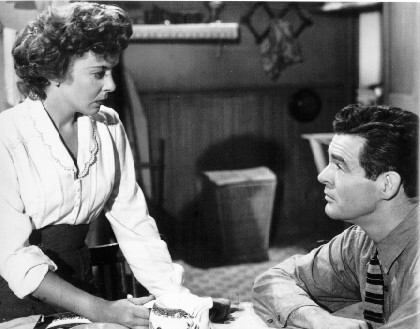 Mann’s westerns are dark conflicted works with characters whose seem to be at a crossroad in their life. Stewart’s Howard Kemp is an unhinged anti-hero determined to get the $,5000 bounty money on Vandergroat’s head so he can buy back the ranch his fiancée sold from behind his back. Still he cannot do it without the help of his two untrustworthy partners. Early in the film his attempt to scale a rocky mountain where Vandergroat is held up fails, burning his hands as he falls. He succeeds in capturing Vandergroat only with the assistance of the unstable but younger Anderson. 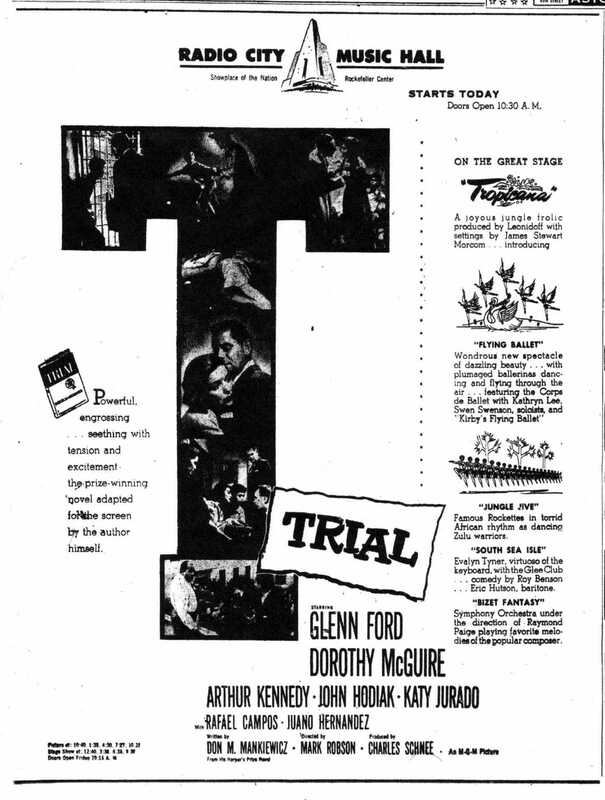 There is very little typical western action in the film except for an Indian attack early on in the film, yet Mann and screenwriters Sam Rolfe and Harold Jack Bloom (who received an Oscar nomination) continuously keep the tension high through the characters interaction filled with mistrust and the constant threat for violence. At one point Vandergroat get hold of a gun and Howard almost out of control faces him down telling him to come on and draw, knowing he can outshoot him. Vandergroat knows it too and does not take the bait, telling the enraged Howard he is going to have to shoot him in cold blood if he wants him dead. Anderson yells out to kill him saying they’ll get the reward dead or alive. The old prospector stops the mad chaos before a shot is fired. All the men come to a violent end except for Howard. Greed does in the old prospector when he falls for Vandergroat’s story about sharing in a non-existent goldmine and is shot dead once he unties the outlaw’s hands. Anderson drowns trying to recover Vandergroat’s body in the wild river and the outlaw is deceived by Lina after she has come to grips that he is a murderer and gives Howard an assist in their final confrontation. In the end Stewart redeems himself coming to grips with his demons after retrieving Vandergroat’s body from the river (dragging it like a beached whale); he breaks down realizing that the bitterness that has engulfed him has made him less of a person. We are left to assume he and Lina go off to California and start a new life together. Mann magnificently uses the camera to isolate the partners depending on who is on whose side at the time. He also positions his camera in various scenes that guarantee you are certainly seeing the actors in the fight scenes and not stunt doubles. As with the black and white beauty of his film noirs this color production is beautifully scenic (mostly filmed in the Colorado Rockies), one of the most visually stunning westerns this side of John Ford. But the landscape is more than just scenic it becomes another character in the film. Mann’s west is a country of streams, mountains and wide open land. It is the landscape that determines the final destiny of Vandergroat and Anderson. I love seeing James Stewart portraying such a multi dimensional character. 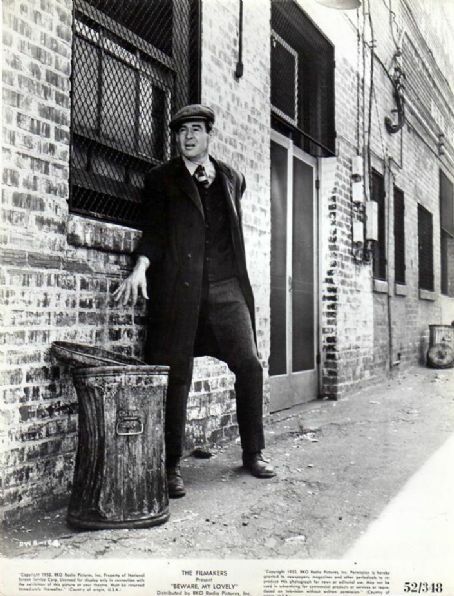 Too often we think of Stewart as the guy next door yet later in his career he took on roles that challenged this perception with films like Hitchcock’s “Vertigo” and especially in the films he made with Mann. Check out this overview of Stewart’s career that was written by R.D. Finch over at The Movie Projector blog, he spells it all out for you a lot better than I can. 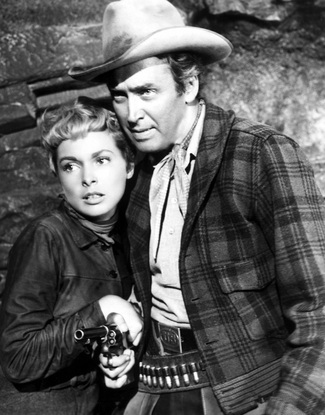 Also check out at Wonders in the Dark Sam Juliano’s wrap of the recent Anthony Mann festival at the Film Forum in New York. 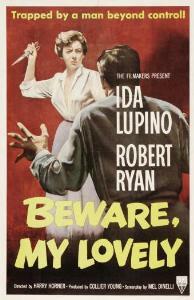 Produced by Collier Young, Ida Lupino’s husband at the time, “Beware, My Lovely” is an odd little thriller that will keep you on edge for all of its short 77 minute running time. 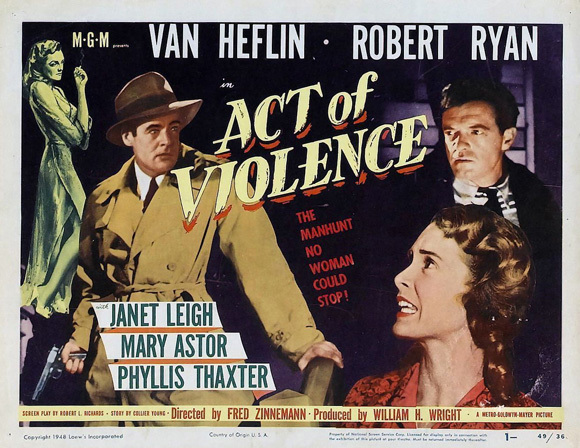 Along with Lupino, the film stars Robert Ryan as Howard Wilton, a former World War 1 veteran, and schizophrenic handyman who we first see running away from his previous job after finding the lady of the house dead. He soon arrives in a new unnamed town where a sympathetic widow, Helen Gordon (Lupino) hires him; its Christmas time and she needs the help at her boarding house. 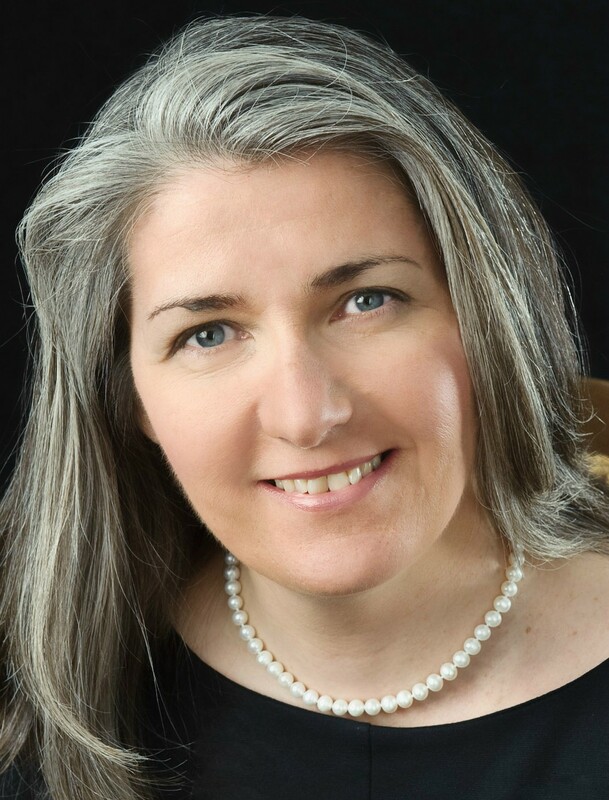 It does not take long for Howard’s perceptions of reality to become twisted as the kindly Mrs. Gordon is soon viewed by Howard as suspiciously hostile, and soon becomes a prisoner in her own house. Howard, paranoid, delusional, has locked the doors, pulled the phone out of the wall, cutting off our heroine from any outside contact. The film is simply constructed, yet engulfs the viewer with a creepy atmosphere primarily driven by Ryan’s outstanding off kilter performance. The film has some striking visual touches that contribute to the eerie mood. One outstanding scene has Helen, believing Howard has left the house, sitting down in a chair next to the Christmas tree, obviously exhausted by her recent ordeal. Suddenly we see a reflection from a couple of hanging Christmas ornaments, its Howard, slowly coming down the stairs unknown to Helen. 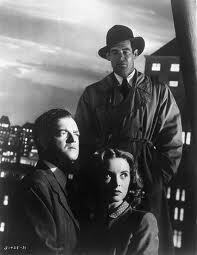 When the “Beware, My Lovely”, opened in New York in September of 1952, the ever off the mark, New York Times critic Bosley Crowthers shrugged off the film as having “no other positive purpose than to send shivers chasing up and down the spine.” Well, it is a thriller, what else did he expect. It does the job admirably.